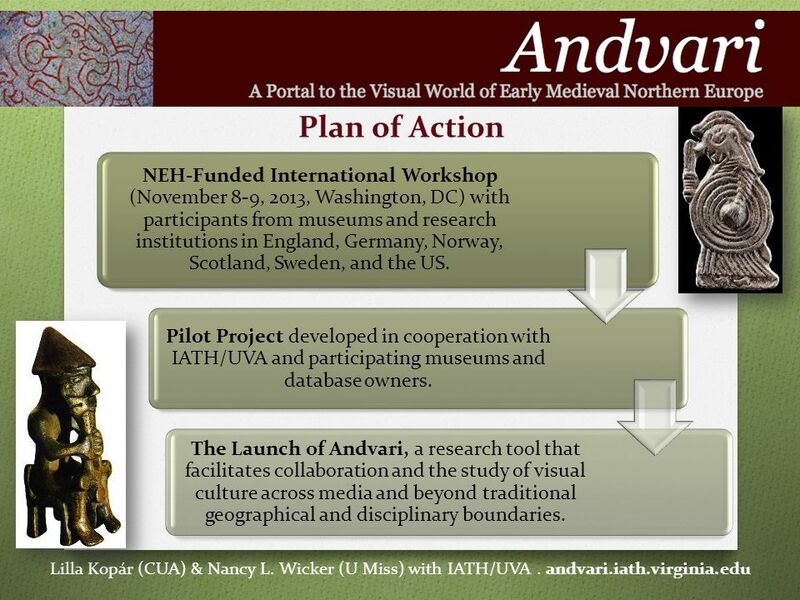 Project Andvari is an international collaborative project designed to create a free digital portal that will provide integrated access to collections of. 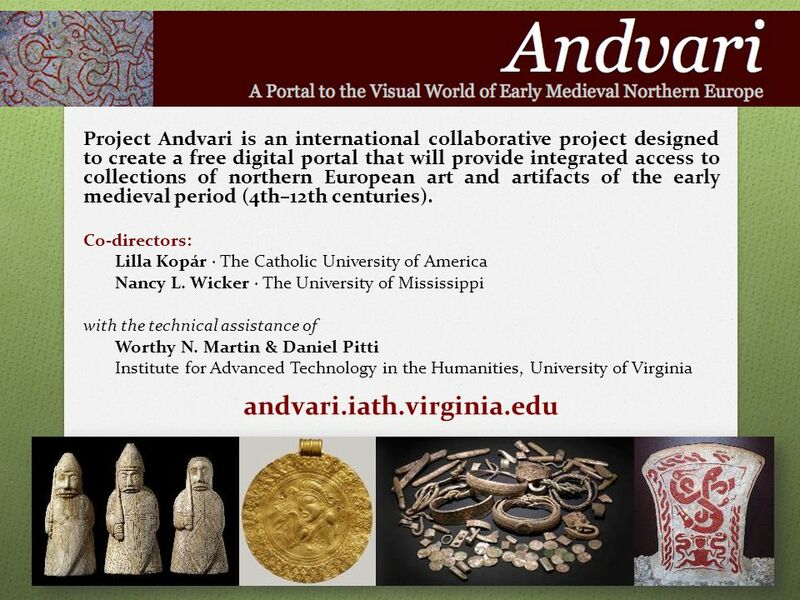 Download ppt "Project Andvari is an international collaborative project designed to create a free digital portal that will provide integrated access to collections of." OCLC Online Computer Library Center Creating Alliances With Emergency Responders: Part I -- The Alliance for Response Tom Clareson, OCLC. Nature of the participation of the GS/OAS in the RIAC Department of Economic Development, Trade and Tourism Executive Secretariat for Integral Development. Computing in the Humanities, Arts, and Social Sciences Marshall Scott Poole Director Kevin Franklin Executive Director. Transnationality and Interregionality or how to connect projects and other ESF actors all over Europe Mr Johannes Wikman. Supporting further and higher education The JISC FAIR Programme and International E-theses Developments. Current Trends in Biodiversity Collection Description Neil Thomson The Natural History Museum. Can We Talk? MICHAEL Conference London May 23, 2008Joyce Ray. Structural frameworks for open, digital research - Strategy, policy & infrastructure Copenhagen June Centre of Competence for Digital Tradition. 1 Scholarly Publishing Initiatives in ARL Libraries: a Penn State Perspective Nancy L. Eaton, Dean University Libraries and Scholarly Communications The. LiLa – Library of Labs Dissemination of Remote and Virtual Laboratories for Natural Sciences and Engineering May 2009 – November 2011 Co-funded by the. Overview of FI-CONTENT 2 Experiments and User Community Activation 1 Carmen Mac Williams, Grassroots Arts and Research 1st March Barcelona 1st. Sandra McIntyre Program Director. OVERVIEW Analysis. 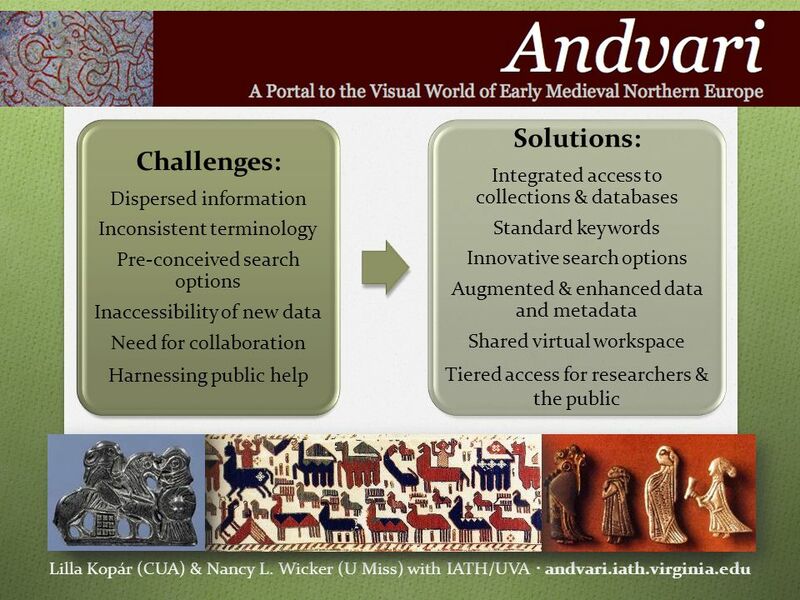 Building Collaborative Partnerships: Digital Research in the Humanities Katherine L. Walter, University of Nebraska-Lincoln. RECOGNISING THE VALUE OF STUDENTS AS INNOVATORS. 12 HOURS/2 COURSES/1 MUSEUM.